The successful candidate will be responsible for providing post-deployment functional support for break-fix and enhancements for the Oracle eBusiness Suite (eBS) Payroll module, including translating customer enhancement requirements into functional design details, writing and interpreting functional design documents for Oracle add-ons and extensions, interacting with technical developers on issues and enhancement requests, interacting with Oracle Support on software problems, performing analysis and testing for required Oracle Payroll patches and performing application configuration setups. Providing business user support for standard and customized Oracle eBS Payroll module requests relating to application functionality questions and investigation of issues. Provide root cause analysis and workable solution options. Interacting with the HCM Technical development team on analysis and triage of production issues as well as enhancement requests. Writing and interpreting functional design specification documents for Oracle interfaces, reports and extensions. Updating systems documentation and work instructions for Payroll functional post-production support processes. Gathering customer requirements, performing detail analysis and working with technical developers, DBAs, and Oracle Support to meet these requirements. Performing thorough testing of application changes, system and regression testing, adhering to standards and practices that meet Quality Management and ISO standards. Performing analysis and testing for Oracle patches as required for compliance and/or issue resolution. Mentoring other functional analysts on the team supporting the Oracle eBS Payroll module. Minimum of 3 years of ‘hands-on’ functional and business process support of the Oracle eBS Payroll module. Contract Agency must be able to confirm validation of work assignments, knowledge of Oracle database structures, and competency of analytical and problem solving ability supporting Oracle eBS Payroll module. Must demonstrate strong analytical and testing skills and the ability to manage and complete multiple assignments with minimal supervision. In addition to adding new customers to our IT Staffing and Software Testing / QA businesses, we have added to our internal staff. Recently joining our team is Jamie Semetkosky as a Technical Recruiter as well as Cliff Reese and Denise Bert to further drive business development. Jamie Semetkosky is a graduate of Seton Hill University earning her Bachelor of Science Degree in Business Marketing and Human Resources. In addition to her Human Resources degree, Jamie spent four years working within the IT industry as part of a local eBusiness firm. Jamie worked as an Online Marketing Specialist responsible for the development and maintenance of multiple product websites. In addition to her eBusiness experience, Jamie also has an extensive background in Customer Service and will be bringing that same attention to detail to each and every one of her candidates. Cliff Reese is a professional technical sales consultant with over 20 years experience servicing clients in the Information Technology industry. He has been working in IT consulting and professional services since 1998, and has successfully helped many clients in Pittsburgh, Ohio and Florida deliver IT projects on time and within budget. Previously, Cliff successfully designed and managed technical systems furniture projects for a leading manufacturer that helped IT clients build and manage their IT infrastructure. In addition, Cliff has managed the sales and distribution of data storage systems products for a global manufacturer that helped IT clients securely manage their data. Denise Bert comes with an extensive background in consulting to several large corporations on long-range planning. Denise is very qualified, highly regarded, and extremely knowledgeable in the field of sales, marketing, and customer service within the IT arena. Her expertise and personal approach in dealing with many companies over the past 15 years adds to the commitment of Logix Guru bringing a successful delivery model. She brings the emotional advantage of placing the right candidate into the correct company. Her ability to form an everlasting relationship to all of her clients is priceless. Hello everyone, I know that this time of year is busy for both clients as well as candidates. BUT you must make sure your interviewing skills don’t get rusty. At Logix Guru we have taken a few moments to write down some tips that will help you get the interview as well as make a good first impression. 1.) When applying for a position, remember that your resume is going to generate your interview, or not generate your interview. If you are serious about the position, then take the time and review the job description completely and gear your resume to reflect your experiences in reference to it. I am not saying to copy the job description, I am saying that you want to make sure your resume reflects the ideal candidate for this specific position. If you have a variety of experiences and you are applying for different ones, then you will have numerous resumes to reflect your experience accordingly. 2.) Be prepared to back up what is written on your resume. If you have a phone interview, you should have a copy of the job description, your resume and information that you want to make sure the hiring manager will need to know to make an informative decision. 3.) Be confident in yourself and your abilities. If you are not confident then how can the interviewer be confident in you? Brag a little. Let them know how you can be an asset to them. 4.) You are an IT / Technical Professional – make sure you represent yourself as such. If it’s a phone interview, make sure you can clearly be heard and answer the questions to the point. If it’s a face-to-face interview, make sure you present yourself well. Dress professionally and make an impact. 5.) If you can, work with another professional and work out a mock interview. Make sure this person is going to be honest with you and help you out with where you are lacking and where you are the strongest. If you are working with a recruiting company, the Account Managers or Recruiters will be happy to help you with this. There are a million websites out there that will tell you how to interview and how not to interview. If you have time, take a look at them and you may pick up some other techniques and ideas that will set you apart from everyone else. But remember there is only one you and you are special! We know it, you know it, now let the potential client know it!! Welcome Jamie Semetkosky to Logix Guru’s Recruiting Team!!! Welcome Jamie! We are happy to have a great new entry level recruiter. She has been here a week and already has her first submission and on her way to her first placement. Jamie has a Bachelor’s degree in HR and Marketing and has extensive experience managing websites as well. We are happy to have her and are looking forward to a long and prosperous relationship!!! Connect with Jamie on LinkedIn or email her your resume (jsemetkosky@logixguru.com) and she may very well be the next contact to find you your ideal career!!! This position will be a contractor recruiter position. The successful candidate will be tasked with actively recruiting for new and replacement HCRs primarily for Technical positions. We will expect them to be tasked with filling all open Technical positions. Extensions of the contract would be in 3 month blocks as needed. We are expecting additional new headcount to be approved with the 2011 Budget and we are in need of this contractor to assist with effectively filling these additional positions. Also, as has historically been the case, a few employees resign in the development Business Units; therefore, we anticipate a number of replacement hires . Depending on workload, this contractor would also be tasked with any other BU HCR needs that may come up during their contract period. We would like to continue to contract a recruiter to concentrate on filling the Technical positions as projected for the new Staffing Roadmap and approved in the 2011 budget. This recruiter would also be responsible for recruiting any technical replacement hires. We will also assign this recruiter to assist with filling positions other than those in development as needed. 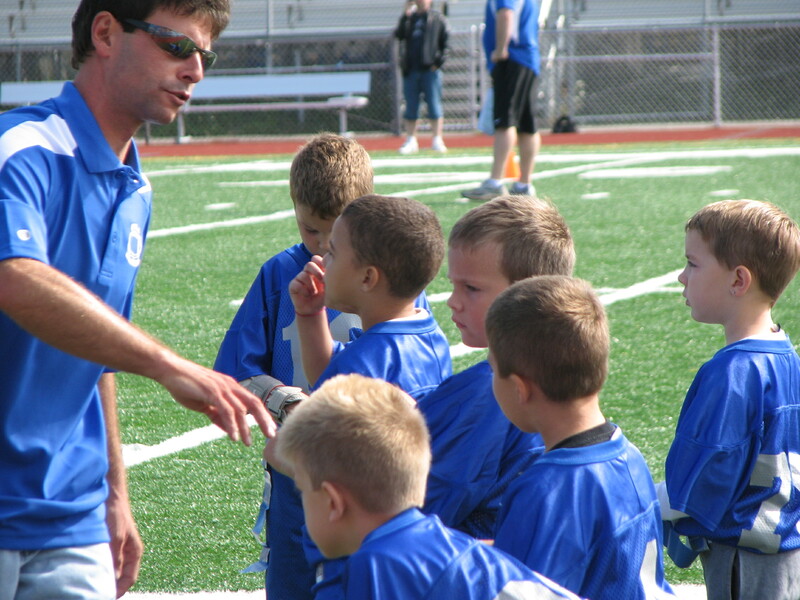 As fall approaches, football is on everyone’s mind, even in the IT community. 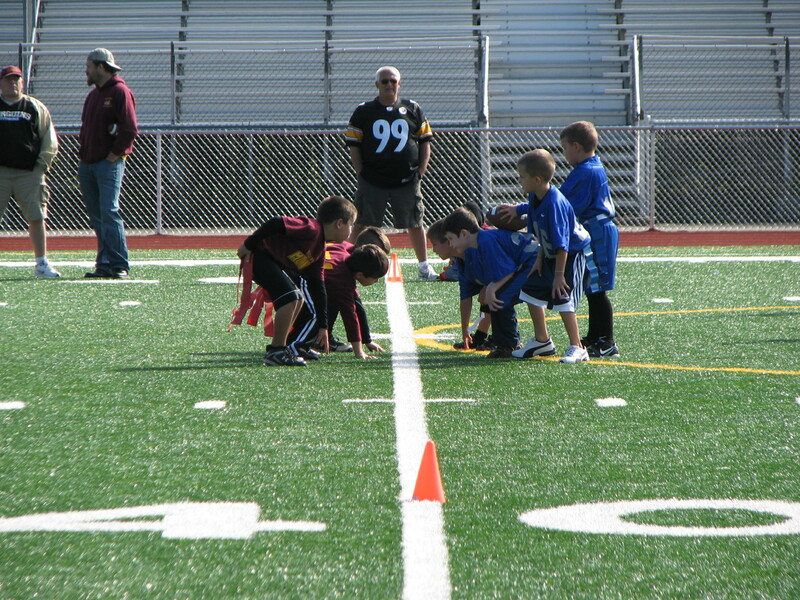 Logix Guru has graciously sponsored the Flag Football team for HAAYA (Hempfield Area Athletic Youth Association). 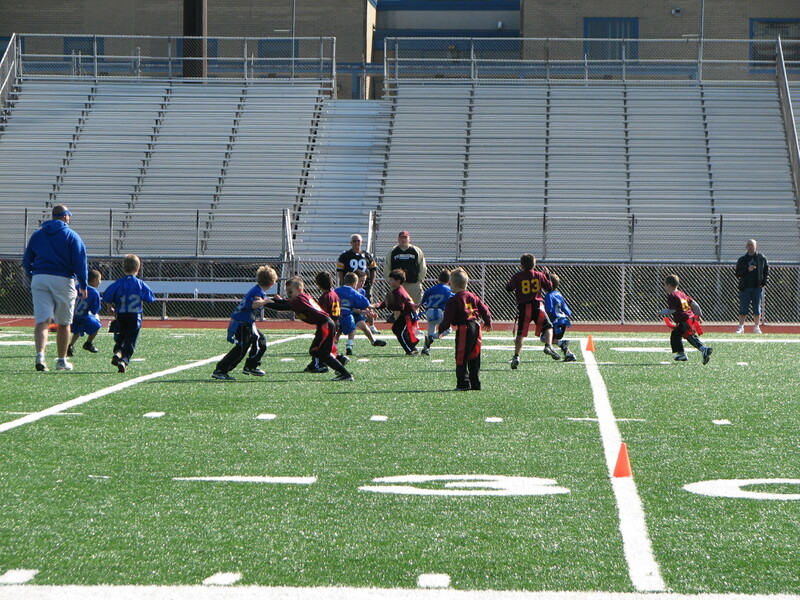 And as the “Team Mom” and an Employee at Logix Guru, I want to thank everyone for all of their contributions to the team and below are some photo’s from their first game. As you all know “it’s all about the kids”!!! Thank you and enjoy! We here at Logix Guru are currently looking for 2 PowerBuilder candidates. One for a Contract to Hire Opportunity and one for a 6-9 month contract. Both positions are here in Pittsburgh, Pa. Please review job descriptions below and submit resumes to resumes@logixguru.com. Full-time (Contract-to-Hire) programmer-senior to help support the IT Department in the downtown Pittsburgh location. The work hours for this position will be daylight hours, Monday through Friday. Under the general direction of the management team and senior staff, the programmer – senior is responsible for providing proficient programming services, defining technical requirements, developing and/or maintaining computer applications/systems, and providing services to meet client IT and business needs. PowerBuilder contractors who will be working exclusively on a project to convert PowerBuilder to JAVA using a tool called Appeon. 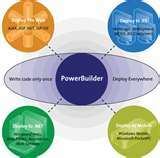 Appeon for PowerBuilder automatically converts PowerBuilder Client/Server applications to Java. Candidates will be working to edit PowerBuilder code to allow the Appeon tool to convert it to JAVA. This position will be a 3-6 month contract. There is a good possibility of becoming a FTE. This is a Monday – Friday, daylight position, with on-call support during off hours on a rotational basis. Provide experienced programming services, define technical requirements, develop and/or maintain computer applications/systems, and provide services to meet client IT and business needs. 3-5 Years experience with Middleware software packages such as Websphere MQ Messenger, Websphere MQ Broker and IBM Business Process Server is preferred. The Application is a home grown system which works on the lines of MQ. .Net experience would be a plus. Healthcare middleware development would also be a big plus. Good understanding of UML modeling, Business Process Modeling, and object oriented programming in a middleware environment is preferred. Able to grasp complex SOA concepts and strategies and convert them into application solutions is preferred. My client is looking for 3 HL7 Interface Analysts/ Developers!!!!! Interface Analyst/Developer to gather interface requirements, develop specifications, code interfaces on an interface engine, test, and deploy interfaces to the client environments. Candidates must have at least 2 years experience with interface development. Length of Engagement: 3 Month Contract to Hire Opportunity. This is a 40 hour per week position out of Pittsburgh, PA. All work must be performed on site. • Good communication skills; Must be able to work with a variety of client types – practice managers, technical implementers, and physicians. Specific Interface engine being used on this project is a Proprietary interface engine -Message Router. Development environment: Development done on Message Router application using GUI point ‘n click tool similar to Visual Basic.